At The Shield Legal Services Firm we understand that being charged with a crime can be one of the most traumatic and difficult events in someone's life. The strategy for each case is individually crafted based on the charges, the events which took place that lead to the charges, all the while keeping in mind the client's circumstances, needs and objectives. As a result, the strategy for each case is different. We are not afraid to fight for our client's rights and we understand that simply being "aggressive" as the only strategy may not yield the best results. Furthermore, the case strategy may change as the case develops over the different stages of the case. We work with our clients to understand their life circumstances, discover the details of the case and convey the client's voice and story in a powerful way to the prosecutor, judge and jury. After a client has been arrested, and either bailed out or is held in custody pending the arraignment and possibly a bail hearing, an Investigating Officer ("IO") is typically assigned to the case by the arresting agency to obtain more information about the facts and witnesses involved in a case. Based on the information in the police report, the IO may engage in further investigations and interviews in order to recommend which charges the Prosecutorial agency should consider filing. If you are contacted by an IO or anyone else after your arrest, you should direct them to your attorney and not provide any details about your case to anyone other than your attorney -- not your friends, not even your family -- NOBODY other than your attorney! Based on the charges and the details of the arrest, your SLS Firm attorney may contact the IO to provide crucial information pertaining to your innocence. The arraignment is the first hearing where the charges are filed against the accused by the District Attorney or City Prosecutor. The arraignment is typically the first opportunity the accused has to find out the details of the charges and the information contained in the police report. If the client is still in custody at the time of the arraignment, bail issues may be brought up and the judge may rule on bail motions. It's important to have your attorney with you at all stages of your case and at all court hearings. After the arraignment, a number of hearings may take place. In misdemeanor cases, pretrial hearings involve conferences, negotiations and motions. In felony cases, pretrial hearings prior to a preliminary hearing typically involve negotiation with the prosecutor and exploration of an "early disposition" plea bargain. The SLS Firm attorneys visit the scene of the incident and often consult with our private investigators during pretrial preparations. Where strategically appropriate, we craft a mitigation package, consisting of information regarding the client's life and character and particular information regarding their case that would mitigate the severity of the charges or outcome in a case. In a felony matter, a preliminary hearing is essentially a probable cause hearing to determine whether there is enough evidence to support the charges brought forth by the prosecutorial agency. The judge may determine that all or some charges are not appropriate and may dismiss them outright. The judge may also rule that a lesser charge is appropriate, or that there is enough evidence to continue with the case on all the charges as brought forth. 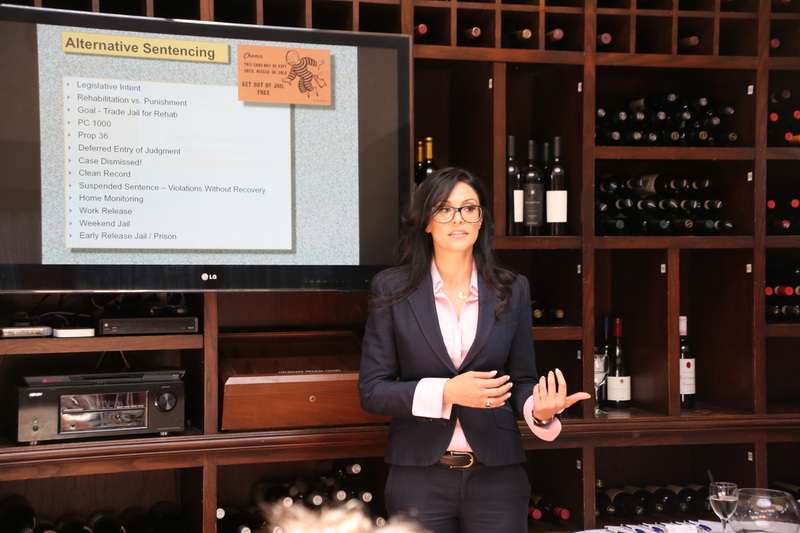 Although the majority of felony cases do get past the preliminary hearing stage, it is an opportunity for the defense attorneys to flesh out the evidence underlying the charges in a case and refine the defense strategy moving forward. After a preliminary hearing in felony cases, a new arraignment-type hearing takes place when the defendant in a preliminary hearing is "held to answer" for the charges in the "information" filed by the prosecution. Thereafter, pretrial hearings, motions and negotiations commence and continue until a plea agreement is reached or it is determined that it is in the client's best interest to go to trial. Once it is determined that the best course of action in a client's case is to go to trial, specific preparations for trial begin, including filing motions to be heard at the onset of trial. Trial can take place where the judge is the "trier of fact" or where the jury is the "trier of fact," which essentially means that they are tasked with the duty to hear all of the evidence that the prosecutor and defense may wish to present and then determine the accused's guilt or innocence. When most people think of the court process, the trial is what typically comes to mind as it is the most publicized type of court hearing in cases covered by the media, and in fictional film and TV shows. However, most cases do not ultimately go through trial, and many are resolved at the eve of trial, once trial preparation has been completed. The sentencing hearings occur when the accused is found guilty at trial, at which point the judge can decide on the sentence based on statutory sentencing guidelines and a number of factors, or when a pre-negotiated sentence is agreed upon in exchange for a guilty or no contest plea. In certain cases, the client's best interest may be to avoid trial and instead negotiate a plea that provides the client with an alternative to incarceration. Alternatives to traditional incarceration may include drug or alcohol rehabilitation programs, community service, work-furlough, SCRAM bracelet, house arrest, suspended sentences/probation, statutory diversion programs, or a combination of the above.